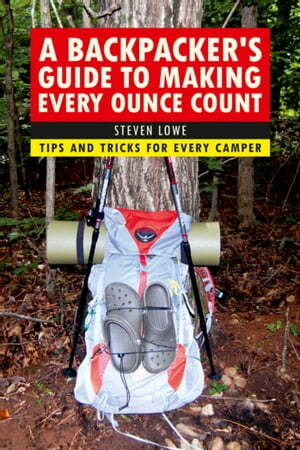 Collins Booksellers - A Backpacker's Guide to Making Every Ounce Count by Steven Lowe, 9781632209559. Buy this book online. A Backpacker's Guide to Making Every Ounce Count was written by an avid outdoorsman, for those interested in knowing how a Gram Weenie thinks. If you are interested in lightening your pack a few ounces at a time, this book covers that very subject. Steven Lowe discusses how he used to pack for a trip and how he learned from the so-called experts.” After following their advice, he ended up with a very heavy pack and soon realized that there had to be a lighter way to backpack. A Backpacker's Guide to Making Every Ounce Count offers tips that may allow you to approach your pack from a different point of view, like cutting the tags from your clothes and cutting your toothbrush in half--all in the name of shaving a few ounces of weight. When planning a trip, you need to look at your gear and ask questions like, How many ounces can I shave from this item?” This book offers some ideas on how to lighten a few ounces from any pack, reduce the weight on your Big Three, and help you define just what type of backpacker you are--a lightweight or an ultra-lightweight backpacker. There are sixteen ounces in a pound. If you can shave four ounces from four areas in your pack, you just shaved one pound from your pack. Every ounce truly does count. Skyhorse Publishing, as well as our Sports Publishing imprint, is proud to publish a broad range of books for readers interested in sports-books about baseball, pro football, college football, pro and college basketball, hockey, or soccer, we have a book about your sport or your team.